THE statement from the FAI was 1,883 words in length. And yet it still didn't answer a number of the lingering questions around the sudden change at the top of the association. John Delaney's move from CEO to a new position as Executive Vice President is an extraordinary development. The missive from Abbotstown suggests it is the natural conclusion from a process that was set in motion in February - long before the dramatic events of the past week and the revelations about the €100,000 bridging loan to his employer in 2017. Indeed, there was no reference to that furore in tonight's statement. The main mention of 2017 was related to the appointment of a governance committee in that year. 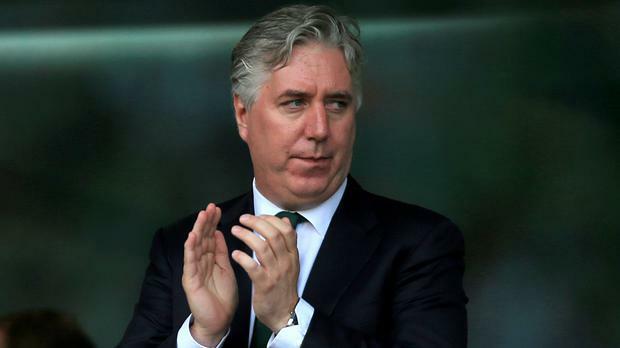 Earlier this week, the FAI said that Delaney would lead to the delegation that will go in front of an Oireachtas Committee on Sport next month. The date for that appearance is now unclear after the FAI offered to bring it forward, and confirmed Delaney's presence. Given that the FAI say that tonight's statement was effectively weeks in the making, then there is no reason to believe that Delaney will not be a part of that exercise. This is unlikely to diminish the appetite of committee members to raise points of interest. His €360,000 salary was set to be one of the topics discussed, but there is no clarity yet on what the reshuffle will mean in that regard. What we do know is that the title of Executive Vice President would be no obstacle to Delaney staying on the UEFA Executive Committee when their next election comes around. Members of that committee need to hold an active office with their membership association with the positions of President, Vice President, General Secretary or CEO, according to the UEFA website. Ahead of Ireland's Euro 2020 struggle against Gibraltar, the chatter was that the winds of change were about to sweep through the FAI. We remain unsure about the extent to which that statement is accurate. What is clear is that the FAI must remain exposed to further scrutiny.